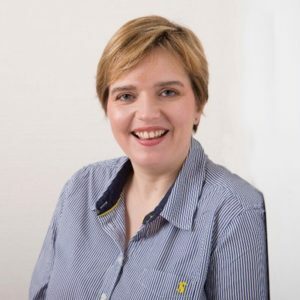 Sally combines a depth of experience as a Chief Technology Officer, Practicing Professor of Blockchain, Founder and Global Strategic Advisor, specializing in the application of emergent technologies for both business and societal benefit. She works globally with bleeding edge disruptors to apply her expertise in blockchain, artificial intelligence and emergent technology convergence to affect lasting change. A member of the Forbes Technology Council, Sally is an accomplished author contributing to leading business, technology, press and academic publications and is finalizing her new book ‘Edge of Disruption’. She is an international keynote speaker on Blockchain, AI, HealthTech, FinTech, Innovation, the future of work and education. She is also a respected online influencer across multiple channels – consistently rated in the top 10 for disruptive technology and social media leadership worldwide. Sally strongly believes in technology as an enabler for social good and has founded Aspirational Futures to help guide, empower and support our next generation of interdisciplinary talent. This brings together the three pillars of STEAM Education, Tech for Good and Social Impact at Scale. Sally has recently been recognized by the United Nation’s Decade of Women Frontier Awards and the IT Woman of the Year Business Role Model Awards for her work in advancing technological change, mentoring and charity, and enabling social innovation aligned to the sustainable development goals.